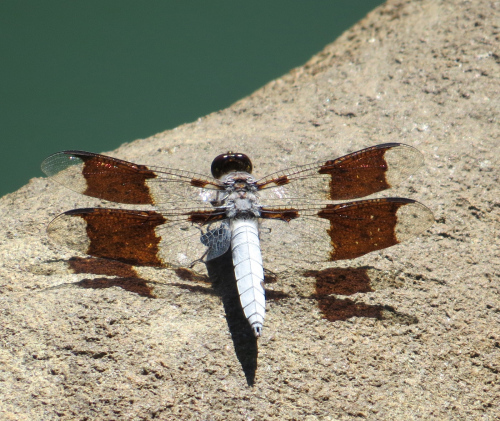 This of course assumes that our dragonfly will make it to old age (or September). 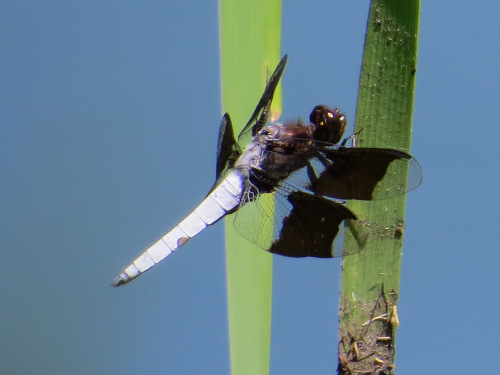 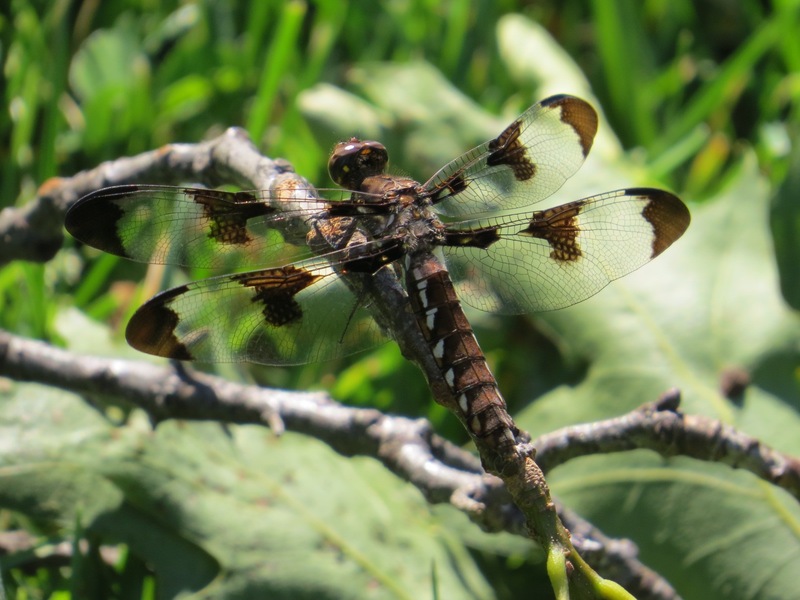 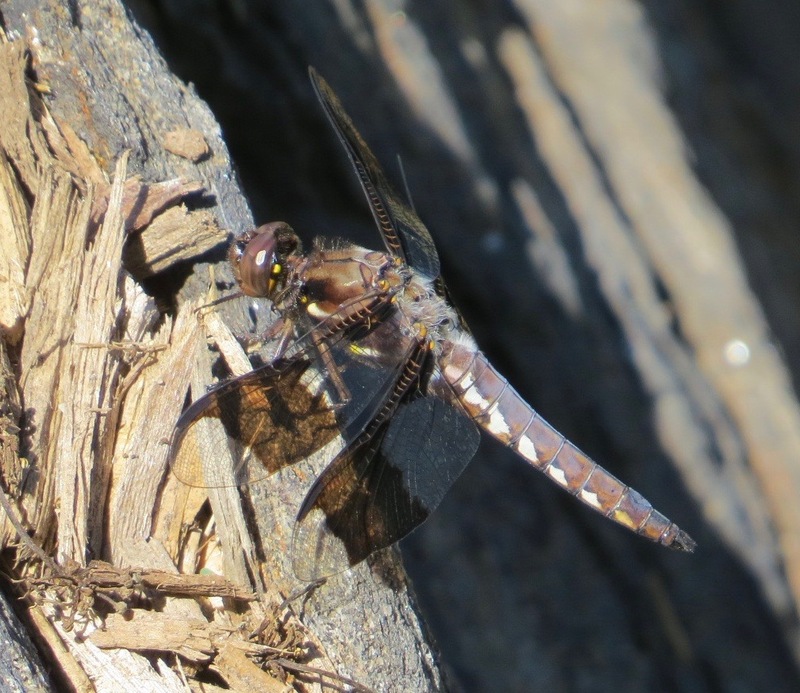 Fast and highly maneuverable, dragonflies are great predators, but they are also predated. 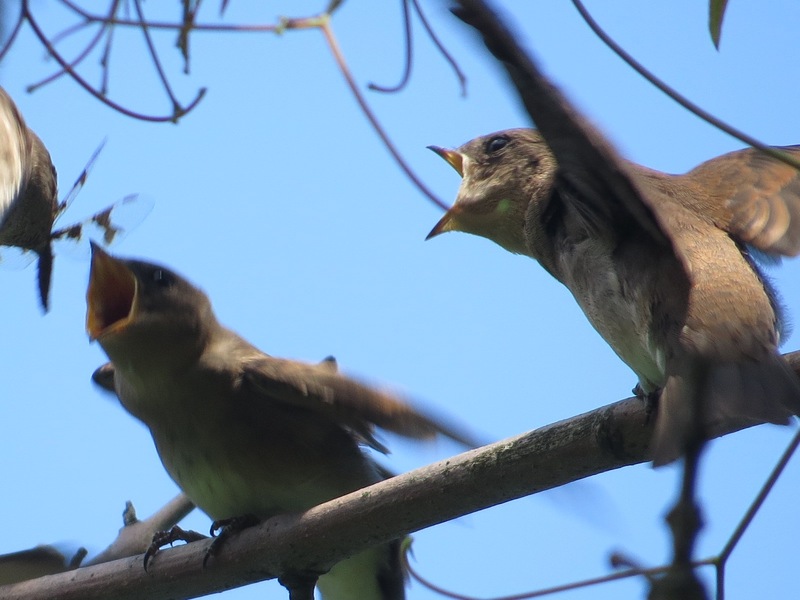 These Northern Rough-wing Swallow fledglings (Stelgidopteryx serripennis) are being served up with a female Eastern Amberwing (Perithemis tenera) by one of their parents.